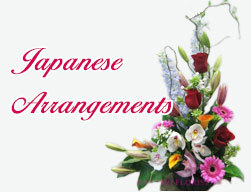 VASE272 Mixed Seasonal Vase Arrangement in Mostly White [VASE272] - $130.00 : Hanamo Florist Online Store, Vancouver, BC, Canada, Quality arrangements using a plethora of the freshest flowers. Mediam-Large size Freshest seasonal flowers of mostly white colour, elegantly arranged in a quality clear glass vase. Good for many occasion. Also available in Large at $135.00 plus tax.